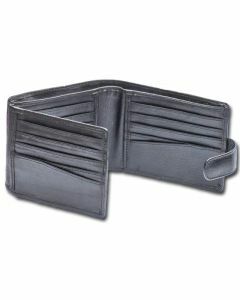 These mens leather wallets have one banknote sleeve that is zippered. This feature is for security minded people. It is easy to keep a wad of money inside the zip and close it. Never loose money from these wallets.